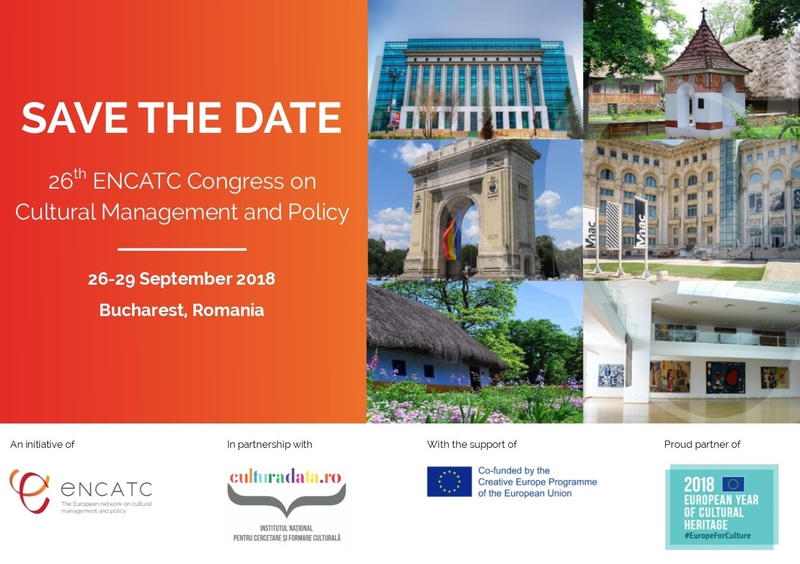 ENCATC can't wait to welcome you at the 26th ENCATC Congress on Cultural Management and Policy! This major international gathering will take place from 26-29 September 2018 in Bucharest, Romania. While the programme is still in the making, Congress delegates can expect a focus on cultural heritage to contribute success of the 2018 European Year of Cultural Heritage! What's more, as the leading European network at the intersection of culture and education, ENCATC will bring unique perspectives and expertise to this special year. Organised in partnership with our member, The National Institute for Cultural Research and Training (NICRT), the Congress will be the opportunity to access the latest advancements in cultural management and cultural policy education, training, practice, and research. The programme will include keynote speeches, exciting debates, panel discussions as well as the 5th Annual ENCATC Research Award Ceremony, the 9th Annual ENCATC Research Session, and the 11th Young and Emerging Researchers' Forum. Hosted in the capital city of Bucharest, there will also be study visits to discover the city's vibrant cultural scene and meet with local cultural influencers and practitioners. More information and updates will be coming soon.